The myth of a Protestant “recovery” of the Gospel was strong in our church. 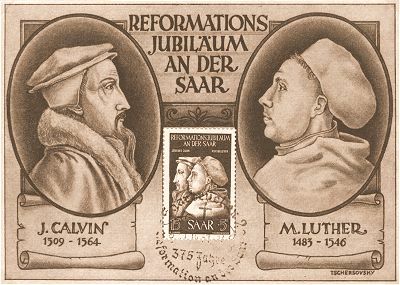 I learned very early to idolize the Protestant Reformers Martin Luther and John Calvin, because they supposedly had rescued Christianity from the darkness of medieval Catholicism. Catholics were those who trusted in “good works” to get them to heaven, who yielded to tradition instead of Scripture, and who worshipped Mary and the saints instead of God. Their obsession with the sacraments also created an enormous impediment to true faith and a personal relationship with Jesus. There was no doubt. Catholics were not real Christians. The Reformers had insisted that they were following the ancient church in teaching “faith alone”and for proof they pointed to the writings of the Church Father Augustine of Hippo (354–430). My seminary professors also pointed to Augustine as the original wellspring of Protestant theology. The reason for this was Augustine’s keen interest in the doctrines of original sin, grace, and justification. He was the first of the Fathers to attempt a systematic explication of these Pauline themes. He also drew a sharp contrast between “works” and “faith” (see his On the Spirit and the Letter, 412 A.D.). Ironically, it was my investigation of this doctrine and of St. Augustine that began my journey to the Catholic Church. My first difficulty arose when I began to grasp what Augustine really taught about salvation. 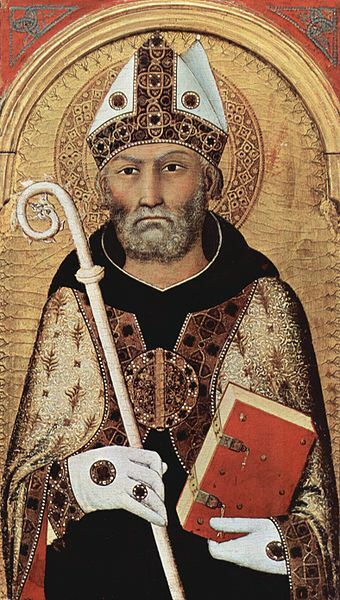 Briefly put, Augustine rejected “faith alone.” It is true that he had a high regard for faith and grace, but he saw these mainly as the source of our good works. Augustine taught that we literally “merit” eternal life when our lives are transformed by grace. This is quite different from the Protestant point of view. The implications of my discovery were profound. I knew enough from my college and seminary days to understand that Augustine was teaching nothing less than the Roman Catholic doctrine of justification. I decided to move on to earlier Church Fathers in my search for the “pure faith” of Christian antiquity. Unfortunately, the earlier Church Fathers were even less help than Augustine. Augustine had come from Latin-speaking North Africa. Others hailed from Asia Minor, Palestine, Syria, Rome, Gaul, and Egypt. They represented different cultures, spoke different languages, and were associated with different apostles. I thought it possible that some of them might have misunderstood the Gospel, but it seemed unlikely that they would all be mistaken. The true faith had to be represented somewhere in the ancient world. The only problem was that I could not find it. No matter where I looked, on whatever continent, in whatever century, the Fathers agreed: salvation comes through the transformation of the moral life and not by faith alone. They also taught that this transformation begins and is nourished in the sacraments, and not through some individual conversion experience. There were no Protestants in the ancient Church. There were no assemblies like the ones we see today, with a preacher at the head, professing Salvation by Faith alone and Sola Scriptura. What you had were liturgical gatherings, like the Catholic ones we know today (not all are Latin rite, too) and you had a reverence for Church Tradition and Teaching. There is another historical narrative called the Trail of Blood theory put forward by Landmark Baptists-- which is not the same idea as Reformed ideology, but is similar in intent in trying to create an alternative story about the history of the Church. Their theory is that all the groups that were persecuted or opposed by the Church such as Arians and Cathars were effectively the original Protestants of yore, the True Church. For one thing, the groups named have no ideological common ground. Arians and Cathars? One group believes in Jesus, one doesn't. Arians had their own bishops. Arians don't believe in the Trinity. Cathars were essentially Manichaeans. They didn't believe in marriage. Du n'importe quoi as they say in French-- facts are shoehorned into a nice-sounding theory that doesn't hold up to scrutiny. And on top of that, much of its chronology is flat out wrong. But Protestant apologists know that the strongest argument for the Catholic Faith is her history. You cannot point to one single Protestant community in the Ancient World. For the simple reason: they didn't exist. Even Arians tried to mimic the Catholic Church. They tried to hijack the Catholic Church because they wanted the brand power. Nobody operated on a Scripture Alone basis. Every Church group recognized the importance of the witness of the Fathers in handing down apostolic teaching. Anyone who studies the Church Fathers will move away from Protestantism. They will eventually drift towards a Church with apostolic succession-- either Orthodoxy or Catholicism or some offshoot thereof. It's like Cardinal Newman said: "To be deep in history is to cease to be Protestant."